We f-i-n-a-l-l-y found each other! The - oh so perfect striped - shirt I was wearing in yesterday's post. 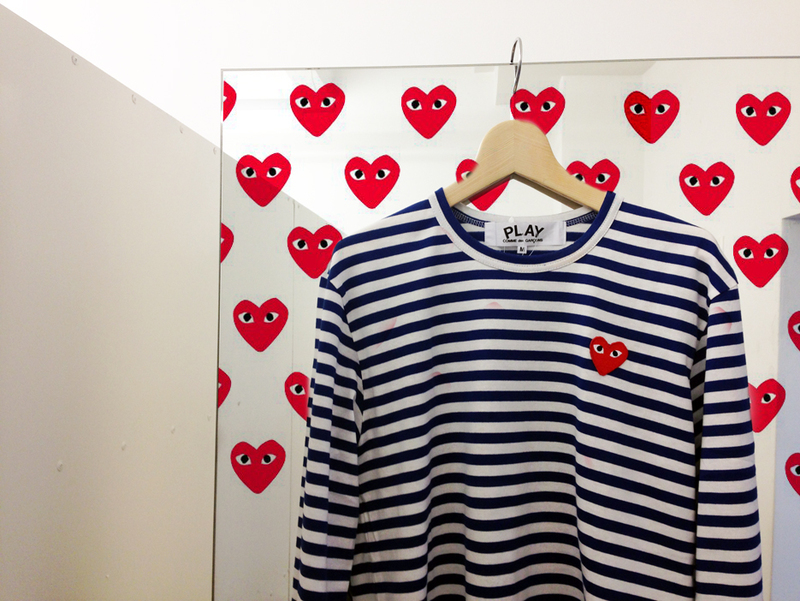 Can I get some - Comme Des - love for this lovely shirt?! Oh, by the way, it's a mens shirt… Ok, bye! I really like striped tops!